BBG's Annual Border, two long beds located on the western side of Lily Pool Terrace, offers two new displays of plants each year. In April, a colorful burst of over 6,000 tulips lining the pools heralds spring in the Garden. Designed and planted in the fall, each spring's display features new varieties and planting schemes. When the tulips begin to fade in late spring, they are replaced with specially designed beds of annual plants that provide a colorful backdrop for the lily pools well into fall. 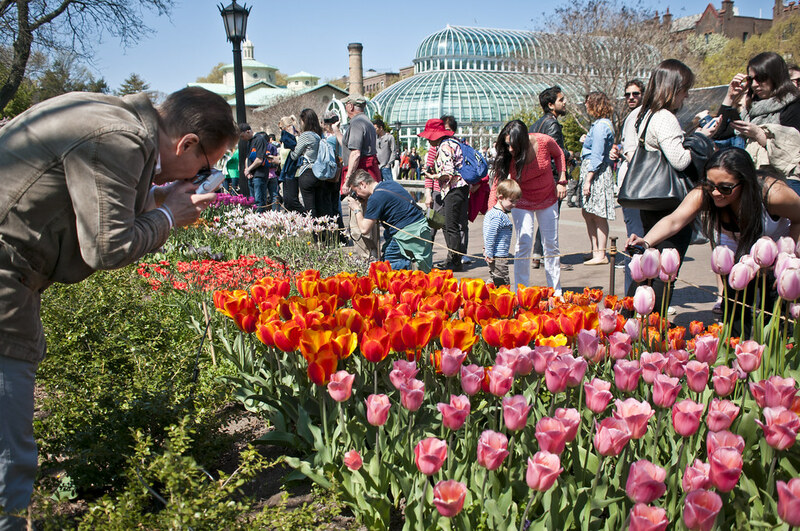 Tulips along the Lily Pool Terrace were a big hit with visitors. Photo by Mike Ratliff.